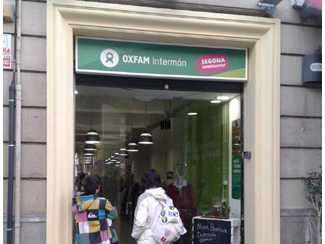 Humana, a pioneer and leader in Spain in the field of environmental protection and the promotion of development cooperation through the textile recycling, welcome to the segment of second hand clothes to an organization like the NGO OXFAM Intermón. This company has recently opened a new second hand store in Barcelona, in Viladomat, 43 street. This is good news because it is a step in the joint effort to promote the reuse of clothes and responsible consumption. This also is closer to citizens second hand clothes, you might acquire an easy, professional and low prices. In this context, we must also recognize and value the collaboration of customers, because they know that their purchases favor reuse, environmental protection and generating resources for development cooperation. Humana currently has 12 second hand stores in Barcelona, one in Viladomat, 51.